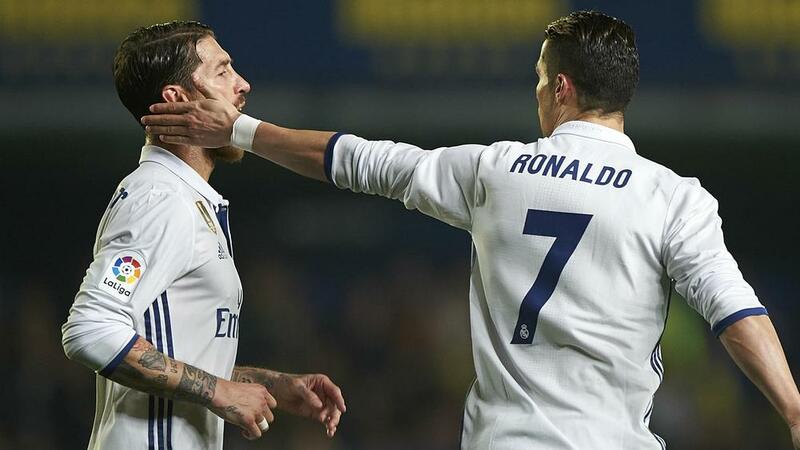 Real Madrid captain Sergio Ramos believes the team will keep winning despite the sale of star player Cristiano Ronaldo to Juventus. Cristiano Ronaldo leaving Real Madrid for Juventus will not stop the LaLiga giants from winning, according to club captain Sergio Ramos. Ronaldo joined Juve in a deal worth €112million to end a nine-year spell at Madrid that concluded with a trio of consecutive Champions League titles. Madrid are yet to bring in a Ronaldo replacement, with new coach Julen Lopetegui indicating he sees Gareth Bale playing a more important role. Ronaldo raised eyebrows in Spain when he referred to Juve feeling like a "family", the Portugal captain scoring on his first appearance in a game against the club's youth team. But Ramos is bullish about Madrid's chances of maintaining their European dominance - starting against Atletico Madrid in Wednesday's UEFA Super Cup - despite Ronaldo leaving. "You had to dig a little deeper. Here we have always felt a family," Ramos told a news conference. "The key to success has been that we have always been [a family], and we have felt part of that family. The loss of such an important player is negative, but that is not why we are going to stop winning. "Throughout history we have gone through cracks and have continued to win. We will have to leave this to us and Real Madrid will carry on, no matter what happens Madrid will not stop winning. "He has decided to change stage and hopefully he will do well." Ramos was again asked about his challenge on Mohamed Salah in the Champions League final, which saw the Liverpool forward have to be withdrawn with a shoulder injury. Jurgen Klopp has described the intervention of Ramos as "ruthless and brutal" and compared the Spain international centre-back to acting like a "wrestler" in the clash with Salah. But Ramos hit out at the Liverpool manager, suggesting Klopp is making excuses after losing his sixth cup final out of seven. "I'm not going to talk more about Salah, the opinion of each person must be respected and I already gave it," Ramos said. "I had no intention of holding Mohamed Salah's hand, but he first grabbed my hand. I'm never going to hurt an opponent. "Klopp will want to justify losing that final, but hey, it's not the first one that he loses. "I voted him as one of the best of the year, so he'll be calmer."